ALEX (Thinking): Time to check my email. ALEX’S COMPUTER: Hello! How are you? I send you this file for to get your advice. ALEX (Thinking): What the — ? 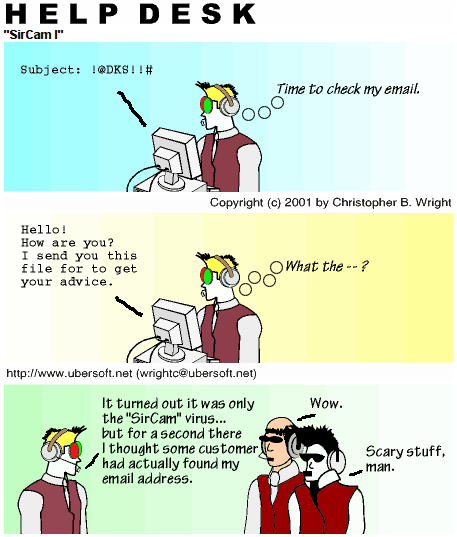 ALEX: It turned out it was only the “SirCam” virus… but for a second there I thought some customer had actually found my email address.